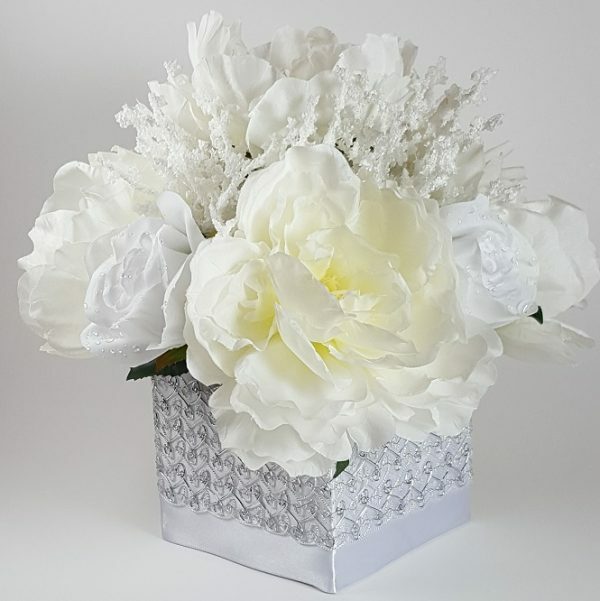 This elegant silk flower centerpiece features gorgeous white Peonies and Roses accented with white Heather clusters for added texture and contrast. 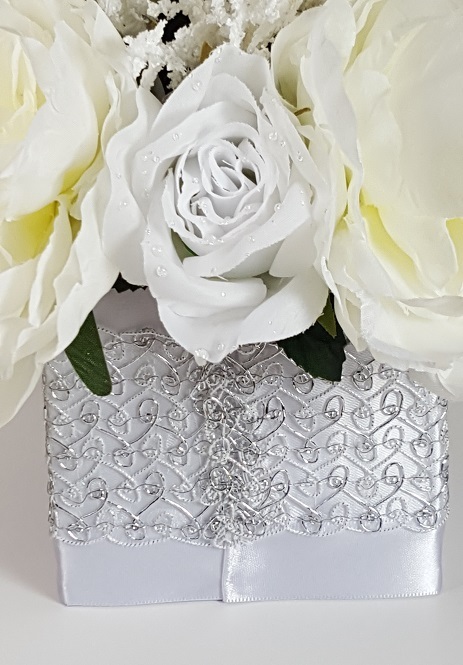 The Roses have small dew drops on the silk petals, a perfect element of realism to the faux flowers. 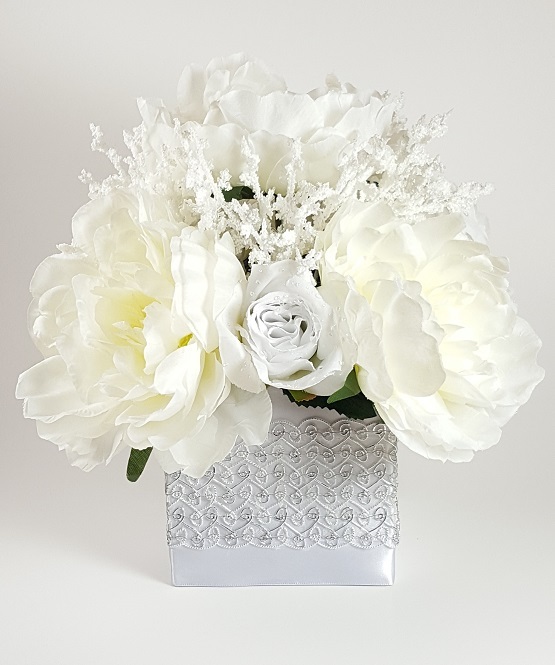 The arrangement is designed in a modern, square, heavy weight cardboard box. The box is decorated with white satin ribbon and silver metallic scroll ribbon for a luxurious and sophisticated look. -These Roses are available in the following colors: Apple Green, Royal Blue, Hot Pink, Ivory, Peach with salmon pink center, Purple, Red, Orange, White and Yellow. 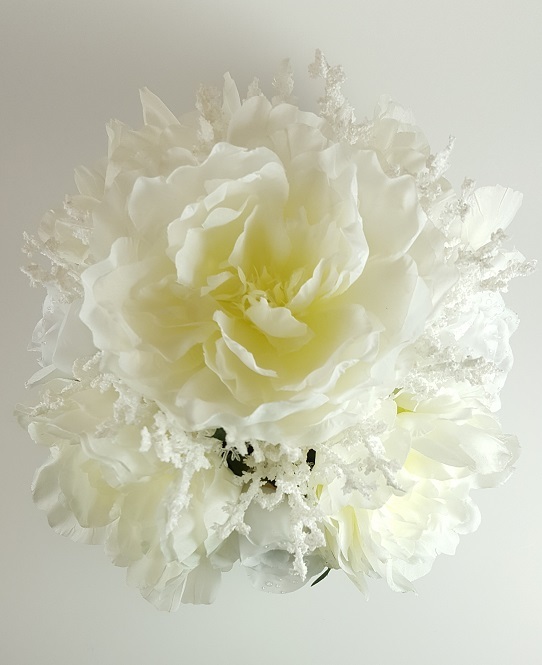 -The Heather clusters are available in the following colors: White and Yellow. 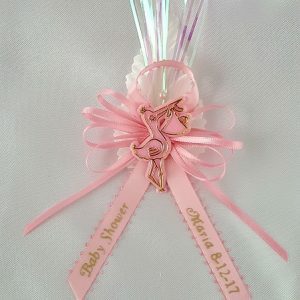 -Let us know the ribbon color of your preference to cover the vase. 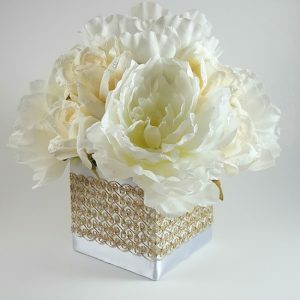 -The metallic ribbon to decorate the vase is available in Gold or Silver. 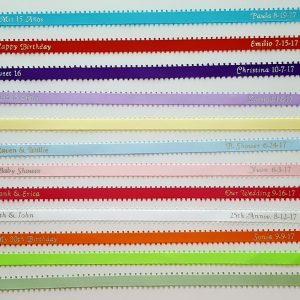 You have set the date for your Wedding, Anniversary, Baptism, Sweet 16 or special event. Now let us help you find your perfect centerpieces.